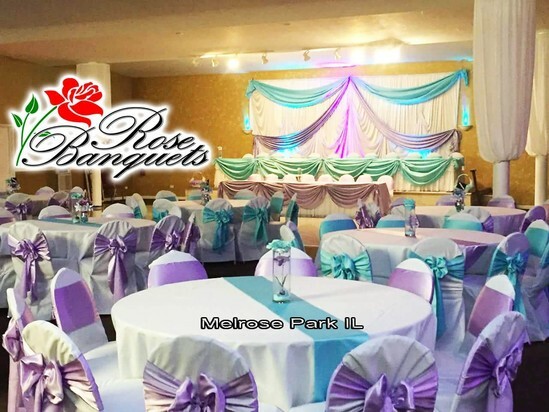 Rose Banquets offers an affordable banquet facility for all your special events. We have 4 rooms to choose from accommodating from 100 to 450 guests. Rent the room and bring your own catering or allow us to offer a full package with catering and decorations. (North Ave and George) and have ample parking for your guests.